Figure 6-12 Concept illustration by James Clyne for the Hall of Containment. Courtesy of Alex McDowell. MINORITY REPORT © 2002—Twentieth Century Fox—All rights reserved. 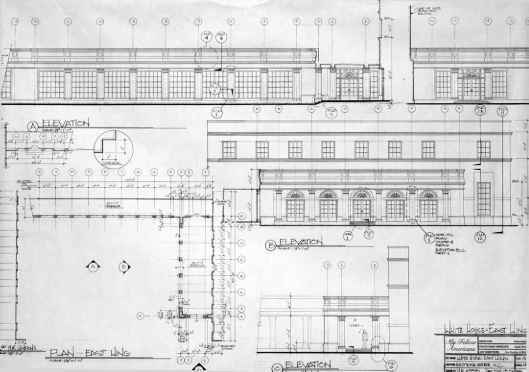 Figure 6-14 Hand-drafted White House East Wing plan and elevations A, B, and C by Harry Otto. MY FELLOW AMERICANS © 1996 Warner Bros., a division of Time Warner Entertainment Company, L.P. All Rights Reserved. The plates of drafting shown here are a small sample of the larger bulk of work Harry turned out in several weeks' time. All of the plates were drawn in architectural style and most of them held full-scale details of the miles of finishing molding eventually air-stapled onto the completed building façades. As Harry was working out the building details, I had arranged a topographic survey of the sycamore grove where the sections of White House would stand. The survey, Fig. 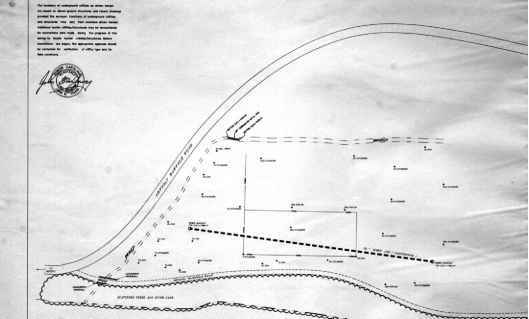 6-16, indicated existing trees, underground water pipes, and most importantly, which areas of the grove were prone to flooding. If you look closely at the back of the West Wing section under construction (Fig. 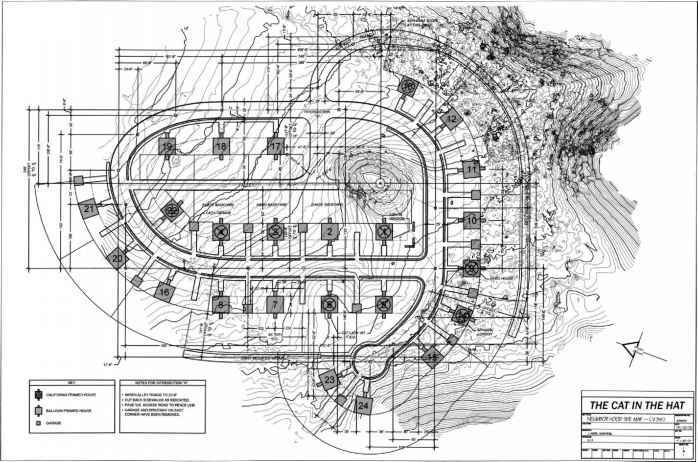 6-17 in the color insert), you will see that the walls are supported by telephone poles securely set into the ground. Knowing exactly where the water main and other vulnerable buried utilities were located allowed us to complete the set pieces without worry. Finally, with all of the details of the survey in place, we could determine how the White House building sections should stand relative to the sun's position and the quality of daylight in early spring.5 This is a consideration of all cinematographers shooting exterior scenery and acting sequences in a motion picture—ours was not a special case. 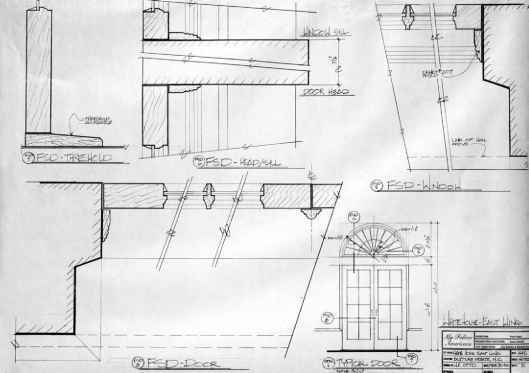 Figure 6-15 Hand-drafted White House East Wing FSD 5-8 and typical door elevation by Harry Otto. MY FELLOW AMERICANS © 1996 Warner Bros., a division of Time Warner Entertainment Company, L.P. All Rights Reserved. 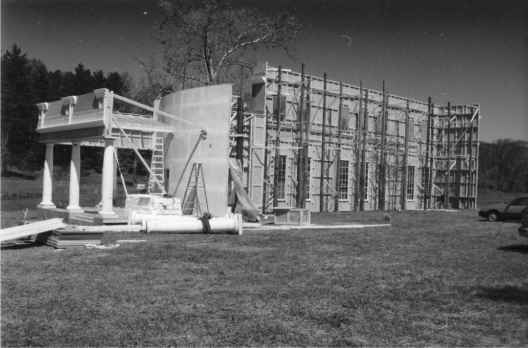 During the first stage of White House construction, production designer Jim Bissell was with the main shooting crew in L.A. There, the art department crewm embers had built a replica of the White House in %" scale, Fig. 6-18. It was used to plan the shooting sequences of two former Presidents galloping on horseback around the building from the North Porch to the East Wing Rose Garden on the North Carolina set. The result of these shot planning meetings was a series of sketches and other visual material developed by the designer. He began with a rough sketch (Fig. 6-19A) as a quick visual outline for several key exterior day shots, scenes 227, 228 pt., 235, 237, 240, and 242A, and later completed a more developed Director's plan (Fig. 6-19B). As I was emailing progress shots of our daily work to him, Jim was composing a revised storyboard sequence of shots against what we were building in North Carolina by sketching on top of my photos (Figs. 6-20A and B, see color insert as well). 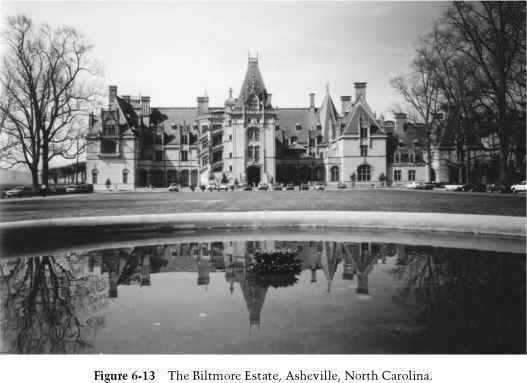 Jim's enhanced storyboard sequence provided a clear indication of how he saw the shots in terms of how they would finally play on the exterior set at the Biltmore Estate. As these pages provided more fodder for our discussions, the crew continued their work. Figure 6-16 Site survey of the typography of a section of field and French Broad River at the Biltmore Estate by Webb A. Morgan and Associates, P.A., Asheville, NC. Figure 6-17 In-process construction photo of the back of the West Wing scenery. MY FELLOW AMERICANS © 1996 Warner Bros., a division of Time Warner Entertainment Company, L.P. All Rights Reserved. 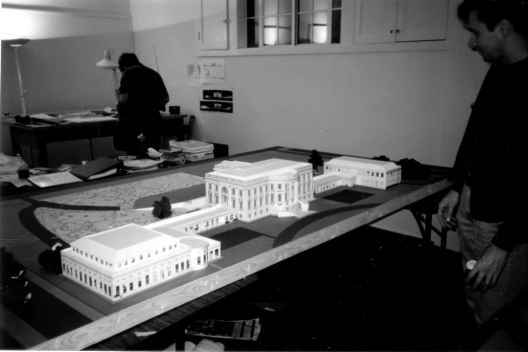 Figure 6-18 Replica of the White House constructed by L.A. art department model makers. MY FELLOW AMERICANS © 1996 Warner Bros., a division of Time Warner Entertainment Company, L.P. All Rights Reserved. Hemingway, Striptease, Sunshine State), with the help of Stephanie Girard, landscape architect and set designer. Their collaborative effort required just as much zeal for detail as Harry's, but in the texture and dynamic terms of this large, green exterior set. Thousands of square feet of sod and rows of manicured box hedges and small trees helped anchor the overall look of the landscape. Our greatest challenge was creating the 200-year-old magnolias flanking both sides of the South Porch steps. Henry's solution was to build two armatures into which huge magnolia boughs could easily be inserted. Early spring in the western hills of North Carolina could not provide us with usable boughs, so we were forced to investigate sources in the warmer regions of Georgia and then transport truckloads of refrigerated magnolia limbs to our Biltmore location. This specific set was an expensive one (see Fig. 6-22). The eight-day shooting timeline on the finished set happened without a schedule change, which would have jeopardized the freshness of the Jeffersonian magnolias and greenscape, requiring continual irrigation and maintenance. 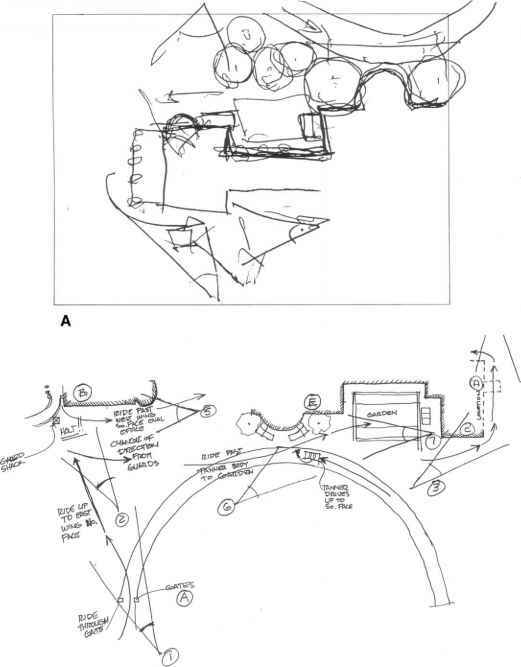 Figure 6-19 A) Rough shot sketch and B) Developed Director's plan drawn by Jim Bissell of the White House South Lawn exterior set. MY FELLOW AMERICANS © 1996 Warner Bros., a division of Time Warner Entertainment Company, L.P. All Rights Reserved.